Students in the Year 1/2 Class are subscribers to ABC Mathseeds. 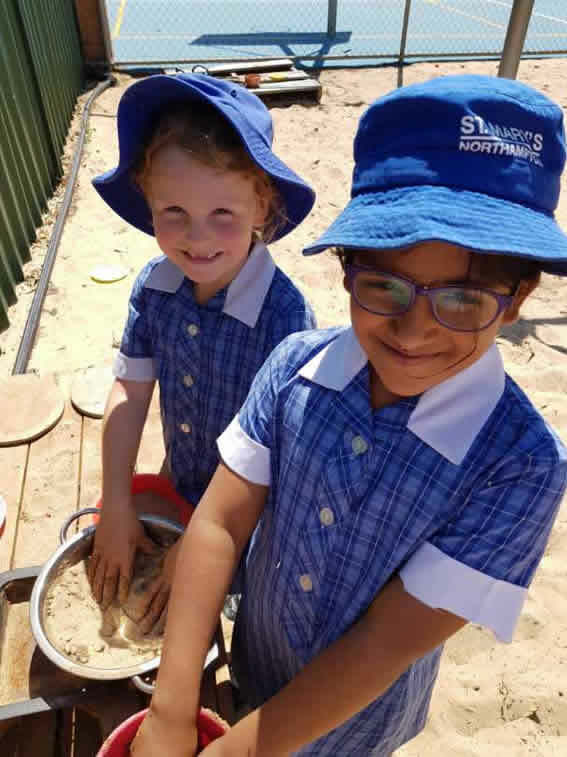 ABC Mathseeds teaches the students the core Maths and problem solving skills needed to be successful at school with fun, highly interactive and rewarding lessons. Teachers use this resource to support their daily Mathematics programme. Students in the Year 1/2 Class are subscribers to ABC Reading Eggs. ABC Reading Eggs makes learning to read interesting and engaging for students, with great online reading games and activities. Teachers use this resource during Literacy Dedicated Time. The Lexile Framework finds the right books for students by measuring readers and texts on the same scale. Students have their own individual username and password and can access Mathletics at school and home. St Mary’s School students have a weekly interactive Chinese lesson with a China based teacher. Lessons are delivered over video conferencing software using technology already available in the classroom. At St Mary’s School, we teach the Protective Behaviours Program as part of the Health curriculum. Protective Behaviours teaches children, young people and adults a range of skills and strategies to help prevent and reduce child abuse and violence in our communities. Teachers and students use Seesaw to capture learning in a digital portfolio. Families can view their child’s work and leave positive, encouraging words and comments. Each student has their own unique log in and all work is approved by the teacher prior to finalising the uploading process.